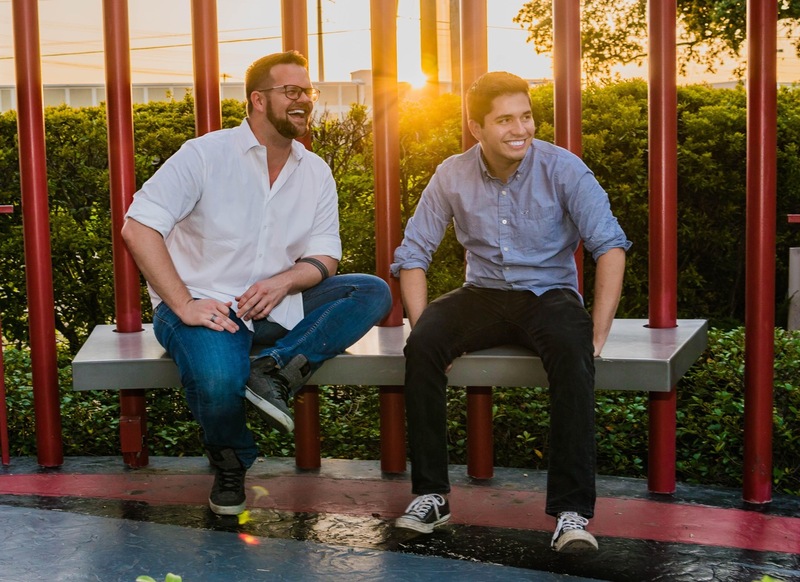 Trent and Cristian from Stage Directions Talk to Pride Houston – Pride Houston, Inc. Stage Directions Inc. is helping make Rock the Runway, Pride Houston’s annual fashion event highlighting local designers, a unique event and a true success. Trent and Cristian from SDI talk to Pride about their process, their passion, and what sets them apart from other event companies. Can you tell us a bit about yourselves and Stage Directions Inc.? What do you guys do? Where are you located? What are your company’s values? What personally drew you to this? What aspects of this industry are you most passionate about? Trent: Growing up I was always involved in something that related to the stage. Theatre, singing, playing guitar – it was always lights, sounds, and performances. Stage Directions Inc. is the perfect combination of creativity and business development for me. I get so excited when I see something I designed in my mind come to life for an event. It can be simple or intricate, but knowing that a vision I had with a client is manifested in front of me – well, that is the thing I get most passionate about! Cristian: One thing that i love the most about this industry is the ability to create something cool from scratch. What are the specific kinds of solutions SDI can provide to their clients? Trent: Stage Directions Inc. can assist our clients in many ways. We can sale lighting fixtures and projectors to clubs, venues, and even entertainers (like DJs and bands)…we can produce highlight videos, commercials, promotional videos, and event videography…bring audio, video, lighting/effects, and staging elements to a party, gala, fashion show, concert, or corporate meeting and create a new experience for the attendees. We can be a simple A/V company, or full-scale show producers…whatever our clients need, we will work to make it happen! Cristian: Each client has different needs and we are there to understand their vision on the show that they are dreaming of and execute it. Explain your creative process. What are common challenges you face when creating and executing a project? Trent: We pride ourselves on not being order takers, but being an innovative and creative brand. When a client comes to us and has a theme for their event, a location, and can provide a round about budget for what they are able to spend – we then get to work dreaming and brainstorming to find something custom for this client. We want to tackle new projects. We love it when a client says they want to be lowered from the ceiling, or walk through a wall that opens up behind the stage. We love the grand entrances, and creating the perfect environment for the theme and client! One challenge for us is that if a client does not communicate their budget with us, we can introduce concepts and ideas that the client wants but cannot afford. It’s so much easier of a process if we know what we are able to do before we dive in. It would be like a real estate agent showing clients homes without understanding what they can afford…there are options for everyone, we just have to find the right match for our clients! Cristian: The normal challenges we face are if the venue has what we need to make the show happen. The most common factor is Power. What size events can SDI manage? Trent: Stage Directions Inc. can handle corporate meetings for 25 people in a meeting room with one TV and two small speakers…but we have also produced events with ShowTime Sports, UNICEF, Shell Oil, and the like. One of our clients has the largest gala in the city of Houston, and we are honored to produce that annual event every year. Ranging from 25 people to 5,000 people – we are used to those…and we have note found our limit yet! Cristian: We can go as big or as small on any events. Trent: Pricing is always a topic of conversation for any client, and we understand this. Our prices are very competitive, and we are willing to work within the parameters of the clients budget. Obviously, purchasing a brand new vehicle is more expensive than a used one…and eating a steak at a Chili’s restaurant is less expensive than eating one at Perry’s Steakhouse – but, you do get what you pay for in terms of experience (we have been in Houston for over 30-years), focus, creativity, and more. It’s worth exploring! What has been the largest event you have done, and the most enjoyable or rewarding event you have completed? Trent: The largest event I personally produce is the largest gala in the city of Houston. We had 5 screens, 2 large LED video walls, and more lighting than you can imagine. It was a blast! Most rewarding tend to be the events that reach far beyond the one night. When we know that we are part of seeing millions of dollars being raised for charities, we get excited…people tend to give more when they are inspired, and we can help inspire people with our creativity. Another very cool event I recently created the staging production for was the NFL Networks Super Bowl LI party. Attendees included hip-hop artist T.I., Ludacris, Biz Markie and more…it was an event to remember! Cristian: The biggest event I have been involved on was a full show event, It had 2 Big LED video wall, 5 screen and projectors, 4 co2 cannons, and Lots of lighting fixture. How are you connected to Pride Houston? Trent: The LGBTQIA community tends to be one of the most creative, innovative, and motivated communities in our city! We have seen PRIDE Houston continue to grow and evolve to motivate and encourage others to be their best and be who they are. We value creativity and fun…this is an incredible opportunity to partner with you to help your event level up! We are thrilled to be a part of the 2017 PRIDE Houston week! Where do you hope to see yourselves in 5 to 10 years? Trent: Stage Directions Inc. has big plans. We dream of expanding across the nation to take our unique approach to event and media production to other places than the Houston area. We love this city, but we know we can do more! We are gaining more exposure and more momentum than ever before. We hope to partner with those clients who want to try something new, who are ready for a change. We want to be the obvious choice for ALL things event and media production and create events and shows that will last a lifetime in the memory of those who attend. We cannot wait! Cristian: I hope to see myself expanding Stage Directions Inc. to other cities either here in Texas or across United States. For more information on Stage Directions Inc., you can visit their website or follow them on social media @stagedirections_inc .